Bring your friend, partner or a loved one and enjoy a weekend of nourishing food, relaxing yoga and meditation classes, an interactive nutrition workshop and the charm of Owego’s newest Boutique Inn. 8:00	Gentle Yoga with Danielle, accessible to all levels. Mats provided. To provide our guests with an intimate and personalized weekend, this exclusive experience is limited to just five couples. Reservations starting at $525. This investment covers your two night stay, four meals, all of the special treats and five wellness & nutrition workshops. Add on reiki or massage for $60/person. Call Julie at 607-223-4367 to book your room! Join us to celebrate the start of the new year - 2019! Text Corinne at 607-725-9488 to pre-register and for the location. Please join us for our last classes at the current location. All classes cancelled 7/1 through 7/7. Hooray for new aerial classes! 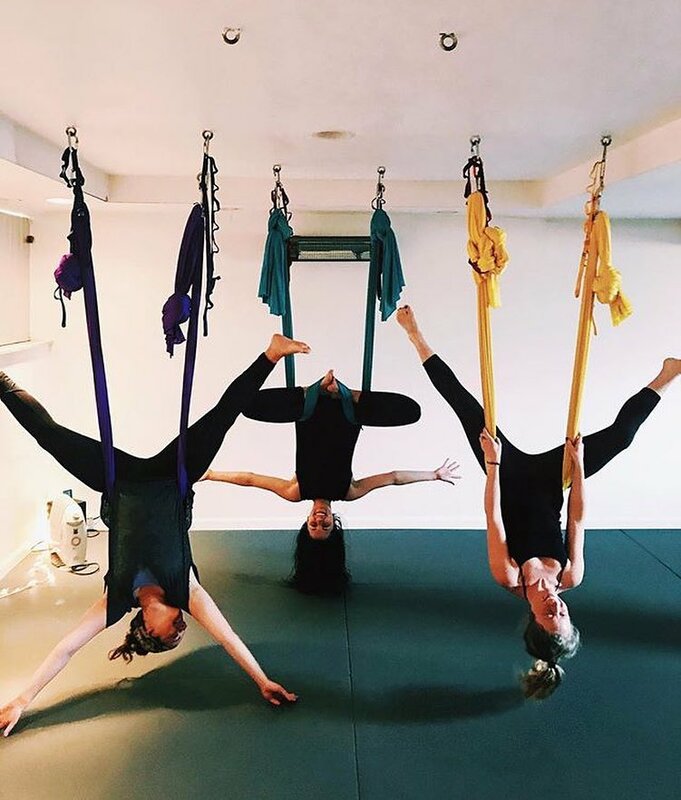 Join Silvia every Saturday for aerial yoga. Text or email your name and date of desired class to pre-register. Regular pricing/class packages apply. Email to pre-register.